How to integrate my landing pages with Mixpanel? 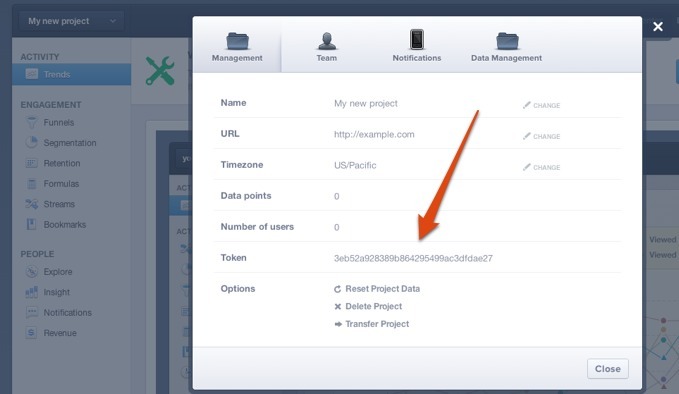 If you have a Mixpanel account, you can instantly enable tracking on your GetResponse landing pages. Just enter the Mixpanel tracking token in you landing page configuration. 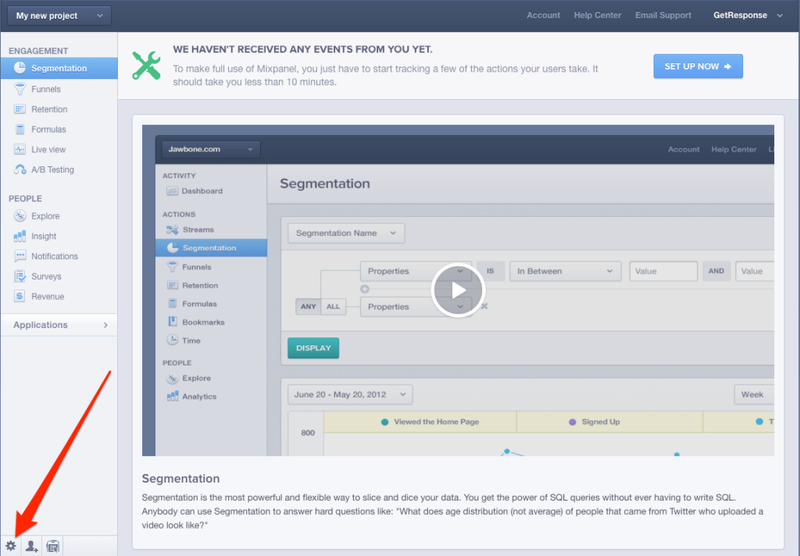 Mixpanel is an analytics platform for mobile and web. You can integrate your GetResponse account with Mixpanel to track your landing pages views. We send “page views” events for every visit to your landing page and a “thank-you” page. After a completed subscription we send the “lead” event. You can then create “funnels” report and measure completion rate. Where can I find a Mixpanel token? Log into your Mixpanel account and click the gear icon on the projects page. The pop-up window contains a long string of numbers and letters. This is your Mixpanel token. Copy the token. You’ll need it in the following steps. How do I include the tracking token on my landing page? Scroll down and expand the Analytics & remarketing section. Select Mixpanel from the list and enter your Mixpanel token. Click Save if you edited an existing landing page or Publish if you created a new one.